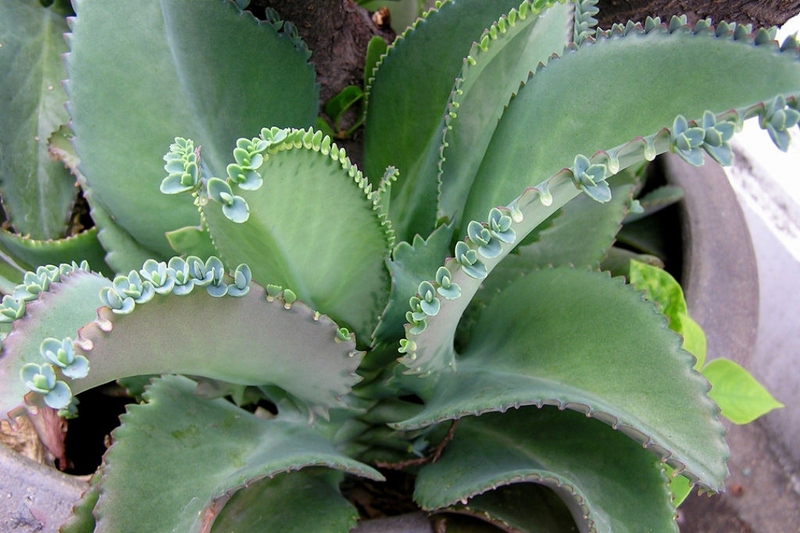 Devil’s backbone (Bryophyllum daigremontianum): growing, planting, caring. An easy succulent for your home. The devil’s backbone is a species of Bryophyllum native to southwestern Madagascar, which does not tolerate temperatures below 5 ° C, and is therefore grown in pots. As a succulent plant, it can survive prolonged periods of drought with little or no water - hence its popularity among gardeners - beginners and experts alike! Use poited soil mixed with compost and sand, on a layer of non-calcareous gravel. Place the pot in bright, non-burning light, avoiding cold drafts. Your devil’s backbone do not like hard water, so use filtered water instead. During growth and flowering, watering every week is usually sufficient. In winter you can space watering more than 10 days. An important note : An excess of water might induce elongation of the stems, which sometimes end up bending under the weight. Roots also tend to rot. Let the soil dry 2 cm deep before watering again. Renew the soil of your plant every two years. Use a bigger pot if you can. Depot it, prune the outer roots and replace the medium with decomposed potting soil and sand. If you do not have a bigger container or your polant is too big, just replace the top layers. From mid-May, do not hesitate to put it out. Place the pot in partial shade. As soon as temperatures drop below 10 ° C, bring it in and put it in the light.